As those winters nights get colder and colder the Snuggle Sac is the perfect thing to keep children of all ages snugly and warm! 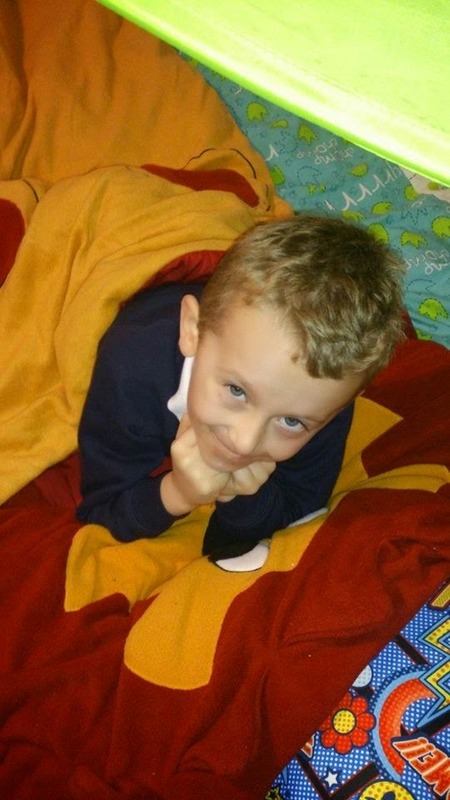 Snuggle Sac’s were created by the lovely Tina in 1999 to help solve the problem of her own young son waking up cold during the night with his covers on the floor and then not wanting to stay in his own bed. Since launching in 2000 the company has sold hundreds of thousands of funky sleeping bags and associated products throughout the world. After using one of these Snuggle Sac’s ourselves it is so easy to see why they are so popular and if I am honest I am slightly jealous of James when he is using his as he always looks so snugly! 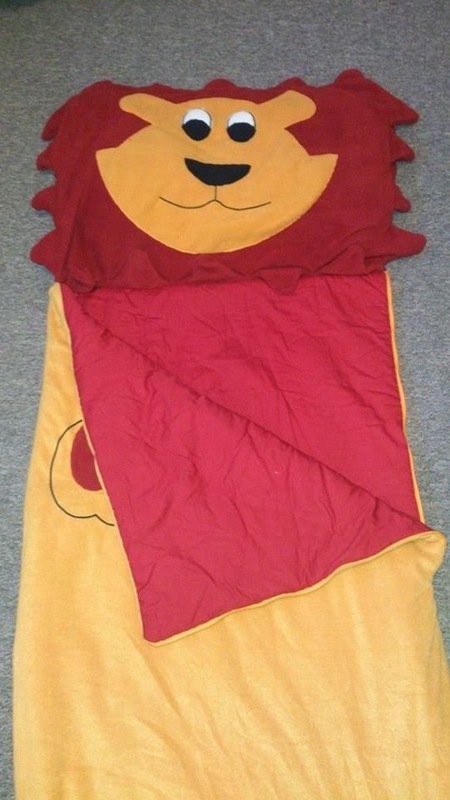 We were sent the Lion Snuggle Sac which is a lovely super soft fleece sleeping bag with a hidden compartment in the lions head for a pillow. The sleeping bag measures 180cm by 70cm and is 5.2 tog! As well as the lion there are so many other funky designs in the original Snuggle Sac range including a Dalmatian, A pirate, A Fairy, A Pony and many more. The Snuggle Sacs are much thicker and fleecier to the regular sleeping bags you will find meaning they are more comfy and warm for your child. Despite this they are really lightweight and roll up very compact and are easily placed in to the handy carry bag they come with for storage or taking along to sleepovers etc. I really loved the hidden compartment in the head of the lion for a pillow to go! It meant no more fiddling around with a pillow underneath or the pillow slipping around and it fits any size pillow. The funky design of the Snuggle Sac was also a big hit with James, For him it was no longer just a duvet or bed cover it was a fun, novelty way to go to bed or watch dvd’s on the sofa with (especially with Christmas looming and we are watching more and more Christmas films!). They are machine washable and can also be put in the tumble dryer too which is a big bonus when they are being used by children! The Snuggle Sacs are fantastic and I would highly recommend checking out their website to see their full range of Snuggle Sacs and other items! They are priced at £45 for the orginal Snuggle Sac which sounds pricey but they are such high quality and really worth it! You can find the Snuggle Sac website here – www.snugglesac.com.